Romanian musician of all times, enjoyed worldwide. four sections: piano, violin, cello and composition. the Vienna Staatsoper, between 1992 and 2010.
the "Casa Radio" Record and Publishing House. 1. When and where was George Enescu born? 2. Name at least three compositions by Enescu. edition of the festival (soloists, conductors or orchestras). Street, sector 1, Bucharest, Romania, PO Box 111, code 010171, fax no. be announced in the second half of October 2011. Continuing the experiments on the small but enthusiastic (and inexpensive) Degen DE1103 purchased on eBay. Daniele Giusti, Lodi's list FMDXItaly linked a portable media card to convert the Intermediate frequency from 455 kHz to 12 kHz. The card is produced by Crispino Messina, I5XWW , The output thus obtained can be brought to the computer's sound card (via the in-line or microphone) and demodulated with a proper application. In case we used Dream . Dream allows you to decode DRM broadcasts. using a variable filter as you like and then get a much better reception than the receiver used in the traditional way. Of course to make the demodulation you can use other programs, which are available mostly free downloadable from the Internet. Just noticed something wrong with the fact that the Degen is not shielded. The connection cable (preferably made with coaxial cable) between the degenerate and the conversion board 455/12 should move as far away as possible from the attack by the ferrite antenna and stylus. All information, with the pictures of the modification, can be found on the site FMDX Italy . 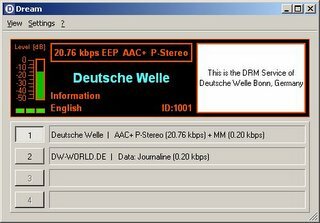 More information about changes to portable receivers for DRM can be found on the German site (in German) www.funkerberg.de , segnalatomi by Andrea Borgnino, whose website is certainly visited. Originally written by fmdxITALY, all rights goes to them. We are giving a English version for your help. This argument is a bit 'off topic, but since the group moving more than 70 Degen 1103 here are some notes on the evidence of change (by attaching a small card) to receive the DRM. Daniele Giusti has installed a card that makes a conversion from 450 kHz to 12 kHz. The card works fine, unfortunately there is little space in the receiver and interface interference, but the results are exciting. Anyway here's how he made the change Daniele. 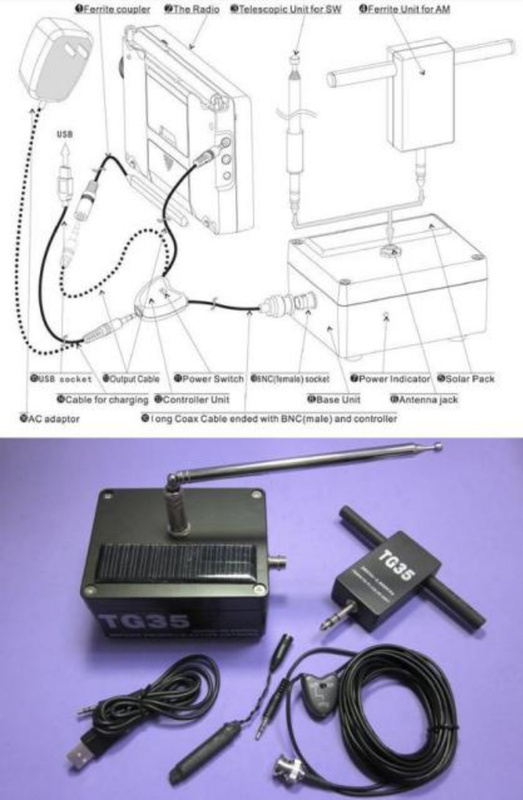 To release the cable from the receiver does not need to drill holes in the chassis: you can get him out of the hole for short rope canvas that serves to challenge the receiver. 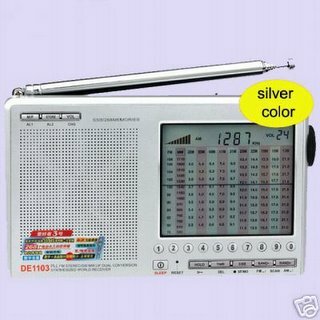 The radio signal is taken from the card that converts it from 450 to 12 kHz. With another cable sends the signal to 132 kHz audio input of the PC. Here are the views of Dream, which displays the stations received from Daniel. 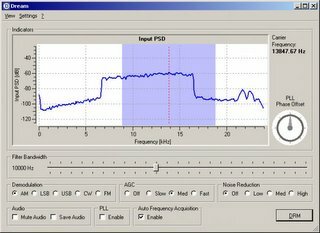 Unfortunately, there is a small problem in the audio converted and sent to the headset, there is always a "noise" background, that along with the music or the decoded speech, you also feel the 12 kHz signal that "passes" through the circuit of the computer. I also heard perfectly only 3995 kHz radio Deutsche Welle, while the other three issuers have decoded so bad you can only photograph the logo, almost without having to understand audio. This means that this ticket requires an input digital signal very strong and clean, is also often necessary to act on the trimmer that controls the width of the input signal (the receiver's volume to 0 and then go left or acts mechanically on the trimmer, or on the level of the audio mixer of Windows) to avoid distortion or loss of "packets". In the coming days I will try again to receive the DRM, trying to clean up the audio from the digital noise in the background. Still on the subject of the photos, please do not post them because I took the exclusive list FMDX, so that if someone would Fabrizio decided to publish the exclusive (I know, is a detail, but somehow we have to reward F. work for us!). In case any of you interested in more information or to buy the converter card (which costs a few €), you may contact e.mail address Fabrizio staff. Crispino Messina, designer of the card, sent some notes to reduce noise. 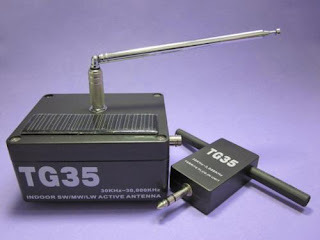 In fact the main problem is the shielding of the receiver (because it's cheap) and the ferrite antenna connection near by. agreement to reduce the height of the tower. due to the tower in their route. The compulsion of reducing its weight is called load penalty. expected to reduce the height of the tower by this month," he said. The international service of Czech Radio, Radio Prague, ends broadcasting on shortwave on Monday, 75 years after regular broadcasts on shortwave were first relayed from the Czechoslovak (now Czech) Radio building in Vinohradská Street. The first broadcast was on August 31, 1936 and included recorded music and live announcements in several languages. It also included a speech in English by technical director of Czechoslovak Radio Eduard Svoboda. The station’s decision to cut shortwave after 75 years followed a severe budget cut by the Foreign Ministry in line with government austerity measures aimed at reducing the state deficit. The station, which has seen some reduction in staff, will continue its broadcasts in six languages via the internet as its main platform, as well as on satellite; it will also continue cooperation with partner stations in re-broadcasting. the world in 2010, through their actions, proposals, attitudes and ideas. Mrs Dilma Rousseff and a living legend of today's world, Nelson Mandela. and two well known Romanian footballers, Adrian Mutu and Cristian Chivu. made considerable progress towards identifying the print of cancerous cells. the world almost out of breath. they were working in collapsed. dictatorship, marked by internal conflicts, the whole Chilean society got united.